There is no greater value to humanity and it’s peaceful advancement than its culture. It’s the basis for all knowledge, science, and philosophy. It’s the root for our technological push into a bright destiny. It is the foundational principle of our beautiful planet’s ecological preservation. This recognition, that human culture of the past is humanity's greatest gift to it now (and for its future), sparked Nicholas Roerich who held the pursuit of beauty and refinement sacred. A Russian world traveler, artist, and visionary, Roerich’s contribution towards the cause of global cultural preservation and world peace is unprecedented, and unsung. Nicholas Roerich recognized this need for cultural preservation upon witnessing the atrocities of World War I. It spurred action that resulted in the 1935 signing of the Pax Cultura by US president Franklin Delano Roosevelt, followed by 47 other nations. Penned by Roerich, The Pax Cultura is a treaty 'between the USA and other American Republics’ for 'the protection of artistic and scientific institutions and historic monuments’. The symbol of this treaty is the International Banner of Peace, recognized as the ‘Red Cross’ symbol for culture throughout the globe. World War II was looming… And the collective idea was to place this banner on buildings of cultural significance (the same way the Red Cross was used to denote hospitals) so the buildings and their cultural treasures would not be destroyed out of respect for each nation's cultural heritage. The International Banner of Peace designed by Nicholas Roerich is descended from ancient origin. Stone age amulets have been discovered with three carved dots. 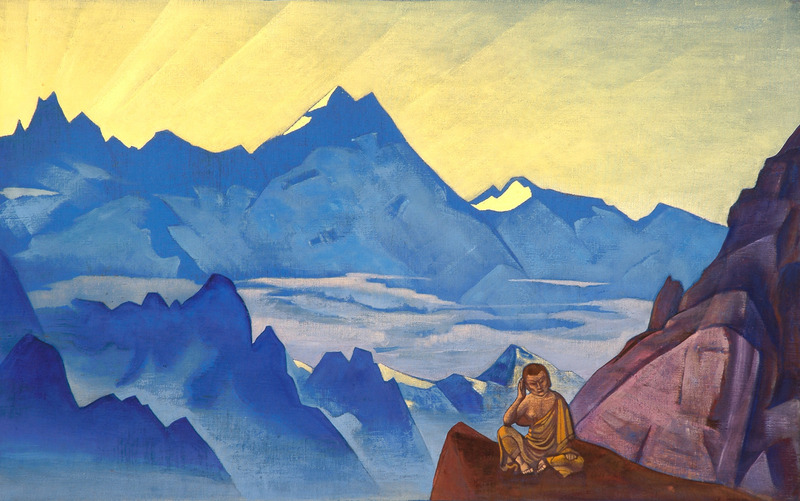 During his world travels Roerich discovered several archeological examples that 'proved the deep and sophisticated understanding of the triune nature of existence'. This universal, time-honored symbol, rooted in humanity’s global evolutionary consciousness, inspired the design of the banner with a red circle around three red dots on a white background. Though we are mere peddlers of philosophy and purveyors of minimalist products, we have a heartfelt respect for culture and a profound awareness that the peace it brings creates abundant goodness for all. Nicholas Roerich and his work energizes us to be better stewards of our Earth, to be peaceful, and to not only preserve culture, but add to it. May Peace and Culture be with you.